Quite frankly, Liliane has grown tired of her husband saying “What?” to everything she said. It didn’t mean he was hard of hearing; it was simply a habit grown up over the years. He never used to be like that. In younger years he would listen. In his older years he’d say “What?” before she’d even finished what she was saying. And then, half way through repeating what she had just said, he’d begin to answer like he’d heard it the first time. Honestly, Liliane would grit her teeth and smile. Marriage at times required that. It was, she convinced herself, part of them both growing older. 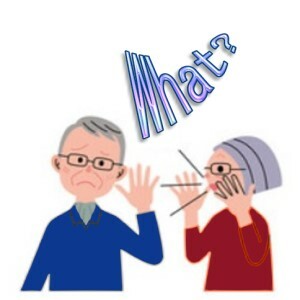 These days, now that he’s dead, Liliane would give anything to hear her husband say “What?” again.